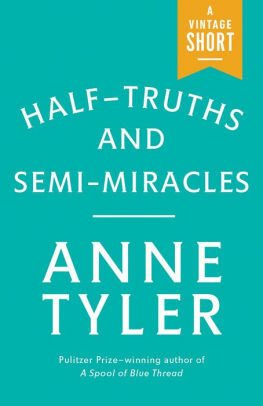 Half-Truths and Semi-Miracles by Anne Tyler is a very highly recommended re-released short story about a faith healer. Susanna is an ordinary woman whose gift to heal people by touching them is discovered when she was seventeen. As word of her God-given power to heal spreads, the gift her touch seems to bestow on some people also becomes a burden she has to bear. This is a wonderful short story! Disclosure: My review copy was courtesy of Penguin Random House via Netgalley.